Sports Stuff is an online platform for sporting clubs across Australia to connect with businesses that specialise in products and services for grass roots sport. For sports clubs of any size, we give you the ability to connect with businesses and share in discounts and offers that you can only get online. We're a real business, based in Sydney, making life easier for clubs. 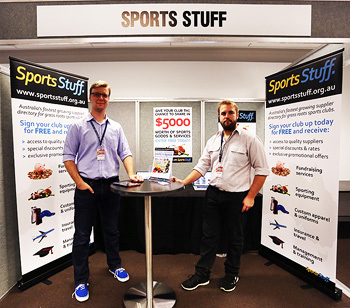 Sports Stuff was pioneered by a partnership between thinkrelativity, a Sydney based sports management, software and consulting company, and the Sports Club Management Expo, Australia's largest grassroots sports expo. Sports Stuff is a wholly owned product of thinkrelativity Pty Ltd, ACN 158 173 767.